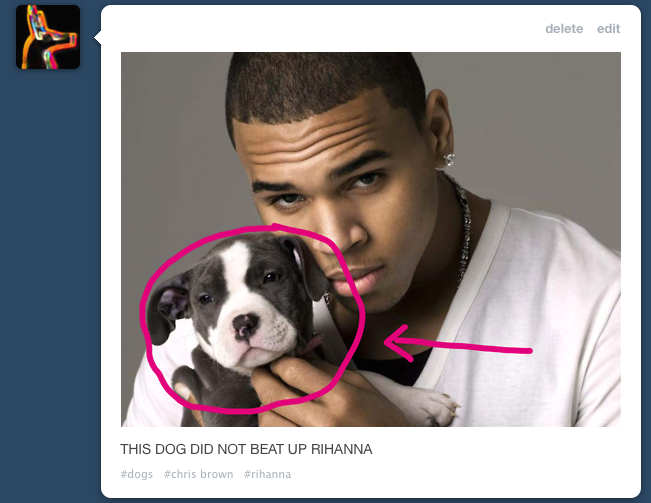 This entry was posted in Frippery and tagged dogs, tumblr. Bookmark the permalink. Along the same lines,, Just wanted to post a little note to let you know how much I enjoy your site. It’s nice to see a quality dog resource for us canine lovers. Keep up the grrrrr-eat work!